Life´s a tasting and whisky is a treat! But let’s start from the beginning. Yamazaki 12 from the biggest JapaneseWhisky company – Suntory – was my first Japanese dram. I don’t know when or where but suddenly I and Mr.Wolfmoon had a bottle of it. Very exotic. And good as well. One of the best whiskies we had tasted at that time. We also got our hands on a Yamazaki sherrycask. Many years ago. Probably in Copenhagen, Denmark at Juuls Vinhandel. So we got interested in world whiskies and tried some 12 yo Hakushu also from Suntory the most famous Whisky Company in Japan. 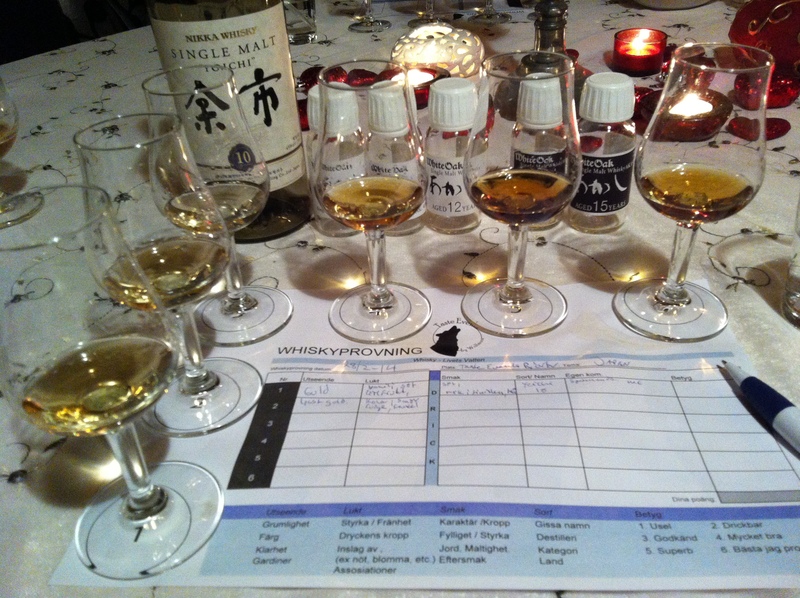 All Japanese whisky we tried was good ….until ISAWA 10 yo single malt. But how bad it is? Well this opinion is divided….. Some say horrible (I saw many twisted faces at www.maltstock.com – experiencing this single malt) and some say strange, some say interesting. The ladies seems to be more tolerant to it. Me myself am a little of all of the above! Mostly it tastes like leather. Not a little leather. Just leather. Or as Mr. Wolfmoon said: Isawa – freshly pressed cowboy hat-juice ! Anyhow, this fascination of world whisky made me want to taste more Asian whisky. Kavalan and Amrut. More of The Suntory range. And I also had the opportunity to try a lot and work with the Nikka range when educating myself to Tutor of Fine Spirits. The European interest in Japanese whisky has made it easier to get our hands on more Japanese Whisky. And of course Suntorys interest and investments in France (Wine and Cognac) and in the drink business worldwide in general, has a lot to do with Japanese Whisky coming to Europe. Unfortunately it often comes in limited releases and then you can only get it in auctions for a lot more than what it was sold originally. But keep it coming Japan! We want your whisky! I got my hands on some Akashi samples. The whisky comes from Eigashima Shuzo/White oak distillery. It was actually the first distillery to get license to distill whisky 1919, but they only started to do it in the 60`s. 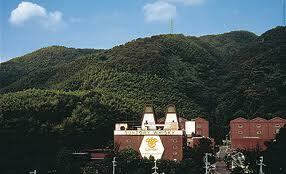 Suntorys`s Yamazaki was the first distillery to make Whisky in Japan and they started running 1923. White Oak Distillery is a true micro distillery with it´s capacity of 60,000 liters compared to Yamazaki´s undisclosed but estimated capacity of 6,000,000 liters. The company has a history of making shochu and other distilled spirits and it is in that “spirit” they make their Single malt as well. The only single malt whisky they will have in their standard range is the NAS. Most of their malt goes into blends. NAS , 5yo, 12yo, 14yo, 15yo. The colours varies from light gold to darkest red/brown sirup. The nose is as varied as well. From butter fudge in the NAS and 5yo through bourbon notes and glue in the 12yo to the touch of good sherry casks in the 14yo and spices and glue again in the 15yo. The peat smoke goes through the whole palette. It is strange that it is so present in the taste when it wasn´t there in the nose. The two closes to each other is the NAS and the 5yo with their sweetness and being very easy to drink …….. A bit wimpy…..
Then the 12yo is just something different. It is a wildly shooting Cowboy in an inflatable boat. You have rubber, leather, oil and smoke in a dry finish. Sulfur, gunpowder and fireworks. Good? Hmmm Interesting…….. The 14yo is so beautiful. Dark reddish brown. And the nose of sherrycasks is promising. But something went…well wrong. There is rubber again, peat and rancio. Stuff is definitely going on. In every direction. The 15yo goes back to the smell of “young spirit” . Its quite flat with some peat, bitterness and surprisingly saffron. I just stand without describing words……..
Just to mention, we had the Yoich 10yo from Nikka as a flavor reference and it is so well balanced and yet nuanced so it plays in another league. The conclusion is that they were almost more interesting to smell ….. but when you drink them you want to try them all – they are “incomplete” singly. Yamazaki is an easy whisky. Akashi is a dodgy one because it changes all the time. Maybe it is so simple that it is hard to make a consistent whisky? And a distillery as Eigashima with it´s focus on other spirits don´t have that constistancy? Well Japanese whisky making is dodgy if you stray from the Suntory Boulevard or the Nikka Street. But you will find interesting whiskies to be surprised by, be horrified by and hopefully enjoy, if you dare to take a stroll down Eigashima Lane, Shinshu Alleyway or any other obscure walkingpath in the Land of the rising sun! So put on your sunglasses and go Japanese!